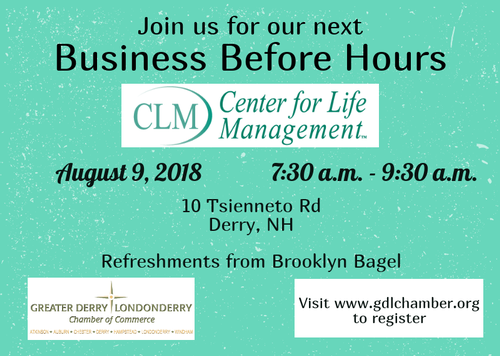 Business Before Hours is a networking event that provides members a forum to connect with one another and promote their businesses. Hosted by a sponsoring Chamber member at their location, it provides the hosting business unparalleled exposure to the Chamber membership and community at large. Food and drink are provided.